Did anyone catch Bailey McCarthy’s Texas home tour on One King’s Lane? 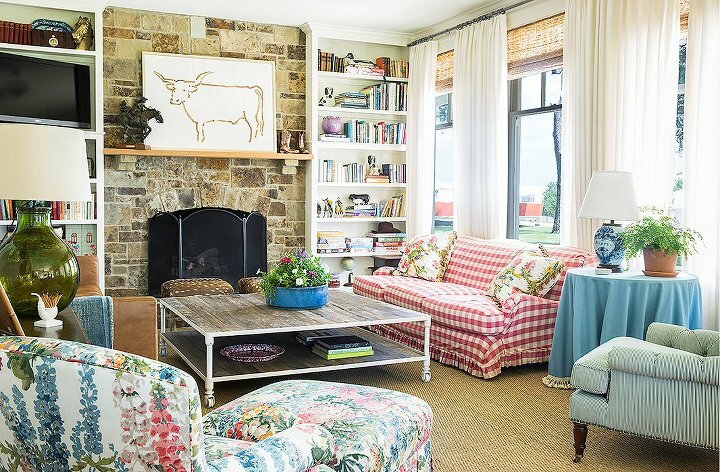 I first saw this project in Country Living’s January 2015 issue and thought it unique it its sense of granny chic, color and pattern play, and use of some vintage pieces while remaining above all welcoming, homey, and comfortable. This home has no pretentions and gives a visitor and immediate illustration of the family living there. I ADORE this room. Remember those check sofas from the “country” style houses of the ’80s and early ’90s? I bet they never looked this happy and fresh. Chintz, ticking stripes, table skirts, classic window treatments, greens, blues, and reds. This room will stand on its own for the next 20 years no problem. Bailey painted the small kitchen black. This lady definitely has guts! Look how beautifully it turned out. Black causes things to recede. Did you even notice that the cabinets don’t go all the way to the top? Took me a few looks! 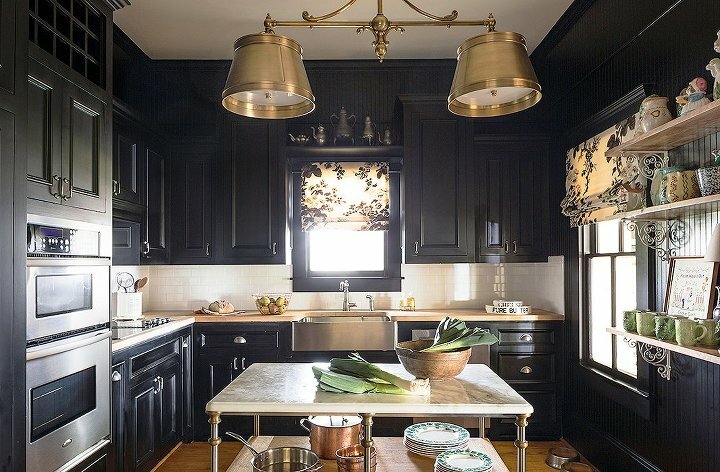 🙂 Her lighting and island choices reference the Victorian origins of the house, and the black keeps it modern. Ok, I bet we all wish we had such windows and ceilings in our dining rooms. I do! Modern/transitional and vintage live so harmoniously here. 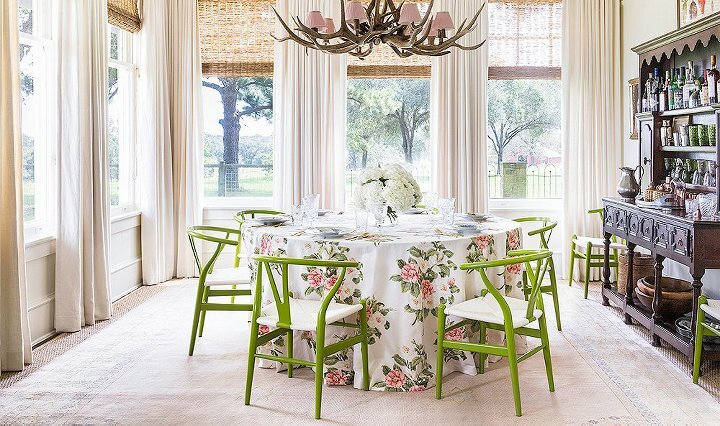 I love the floral table cloth mixed with the lime wishbone chairs. And being such a brown furniture buff, you know I’m all over that Welsh sideboard. Faux paneling wallpaper, cobalt blue buffalo check, painterly lamp and vintage vanity doubling as a side table/desk. Unexpected. Perfection. Palest pink with kelly green?! Yes, please. And a granny quilt with fun drapes, modern art, and clean ivory swing arm sconces. Maybe its the setting sun coming through the windows, maybe because I’m a demon for green and poster beds (Bailey, where did you get this????? 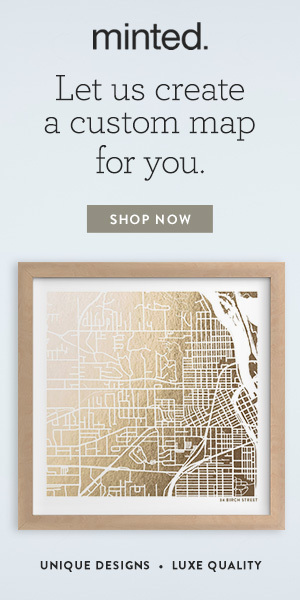 ), if I ever visited, I want to stay here. Great decorator (and granny chic) trick — covering a room in one fabric. I’ve never seen it done in a bathroom before, though! Thursday I’ll be posting my One Room Challenge update — lighting! See how to mix your finishes and unify spaces that are open to each other without being boring and repeating the same thing (or collection) throughout.